For more than three thousand five hundred years, people have recognized the healing and moisturizing properties of the aloe vera plant. The use of aloe vera has been documented throughout history most notably aloe vera use can be traced back to the ancient Egyptians, when the glamorous Cleopatra considered the aloe plant her personal skin care and beauty secret. Aloe was held in such esteem in ancient Egypt that it was considered the “Plant of Immortality” and drawings of aloe plants have even been found inscribed in the tombs of pharaohs. 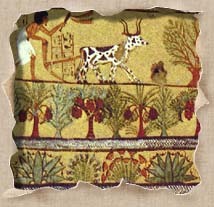 Through the centuries following the Egyptians, aloe vera was highly valued by the legendary King Solomon, and Alexander the Great. Mentions of aloe vera use on the skin is also found in the Bible, and later Marco Polo recorded the use of aloe vera in the Orient. Spanish Conquistadores discovered the bounty of the aloe plant in South America and exported vast quantities back to Europe throughout the sixteenth century, where the aloe vera plant became part of the foundation of western medicine. Now you too can harness all the benefits of aloe vera! Since 1974, Aloe Vera Products have been proud manufacturers of a wide variety of aloe vera based skin care and beauty products, and aloe vera drinks. Every skin care product and aloe beverage manufactured by AVP is very simply put, the highest possible quality aloe vera product available on the market today. All of the aloe vera plants used in our products are grown in the sunny Southern California climate without the use of any pesticides. After harvest, each aloe vera leaf is hand processed. Our stabilized aloe vera gel is then combined with the finest emollients and humectants available to help preserve and restore the natural substances essential to healthy skin. Long before it was a fad, Aloe Vera Products made a lifetime commitment to bring the health and beauty benefits of the aloe plant to our clients. Since then, we have spared no expense in perfecting our formulas for a select number of applications. While many aloe products on the market claim “100% pure aloe vera” the actual amount of pure aloe used is a very small percent of the total product ingredients. With Aloe Vera Products, you are assured that our skin care line and aloe vera juices contain up to 92% pure aloe vera. For more detailed information please visit our aloe skin care product line or aloe vera juice pages. At Aloe Vera Products, our customers are family, and we are happy to offer product samples free upon request. We are confident that once you try the AVP line of all natural aloe vera juices and our all natural beauty and skin care products and you too will recognize all of the health benefits that course through the leaves of the aloe plant. Aloe Vera Products has always stood by our products, and shall continue to do so. We are so sure that you will agree that our all natural skin care line and aloe vera juices are the finest available that we will refund your money, without questions, if you are not 100% satisfied. All of the health and beauty products manufactured by AVP are available in large volumes. We offer Aloe Vera Products in both wholesale lots and bulk quantities. For more information on Wholesale Aloe Vera and Bulk Aloe Vera sales please contact us.